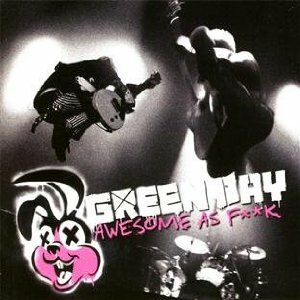 For fans of Green Day, an album like Awesome as F**k sounds like a great idea. Who doesn’t love a live album that lets you relive all of the best times you’ve had at a show. Unfortunately, the live album feeling of Awesome as F**k doesn’t capture the band as well as one would like. The DVD does a phenomenal job of capturing the live power of the band. As you watch Billie Joe move around, you really start to feel like you’re in that crowd in Japan. The lights over the crowd and the switching between the band, backstage shots and the audience really put a certain amout of excitement in your belly. For those who love Green Day, you’ve probably already picked up the CD. But for those still on the fence, pick up the DVD and see how you feel about the album. You might find it is more than enough to tide you over.